I need help with my debt. Where should I go? When economic times are more challenging, an increasing number of consumers are looking for assistance in managing debt. There are a host of companies and organizations that purport to offer help to consumers in settling or managing their debts with creditors. Some of these services may be helpful, many are not. In many cases, consumers end up sending hundreds or thousands of dollars to a company only to receive no help with their debt. It is important to thoroughly research any business you are considering hiring to help you with managing your debt. How do I know if a debt settlement or management firm is legitimate? Any company offering debt settlement or debt adjustment services to Vermont consumers must be licensed to do business in Vermont with the Vermont Department of Financial Regulation. Finding out whether the business is licensed is a good first step in your research. You can look up licensees online, as well as check their list of unlicensed entities. In any case, it is important to check the licensure status of any business you are looking to engage for these services before you ever send them any money. In addition to the for-profit businesses that offer debt management, adjustment or settlement services, there are non-profit service agencies that exist to help consumers with debt. I sent money to a debt settlement firm, but they don’t seem to be helping. If you have sent money to a firm for help with your debts, check first with the Dept. of Financial Regulationto be sure they are licensed in Vermont. If they are not, contact us to file a complaint. We will forward your complaint to the business with a request that they respond. 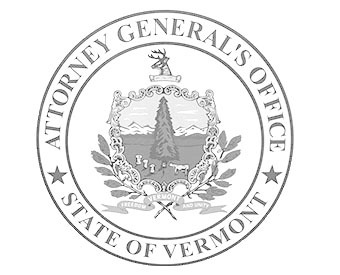 Consumer complaints have also resulted in a number of settlements between the Office of the Attorney General and businesses operating in violation of Vermont law. The Vermont Attorney General has settled or litigated the following enforcement actions since February 2009. Click on the links below to find the court documents and press releases in each case. Credit Solutions of America, LLC: Complaint, Order, and Press Release. March 21, 2012. The Vermont Debt Adjusters Act, 8 V.S.A. ch. 83, provides that “no person shall engage in the business of debt adjustment except as authorized by this chapter and without first obtaining a licnese from” the Commissioner of the Vermont Department of Financial Regulation (“DFR). In 2010, the Vermont Legislature passed Act 137 which clarified the definition of “debt adjustment” in existing law (see sections 2 and 29 of the Act). Right to Cancel: The Vermont Debt Adjusters Act, 8 V.S.A. § 4869a, provides consumers with the right to cancel a debt adjustment contract “until midnight of the third business day” after the consumer signs the debt adjustment contract. In addition, the Vermont Consumer Protection Act, 9 V.S.A. § 2454, and Vermont Consumer Protection Rule 113 may also require specific right to cancel provisions in a debt adjuster contract. Consumer Fraud: Some representations offered by debt adjuster companies in advertising and other marketing may violate the Vermont Consumer Protection Act’s prohibition on unfair and deceptive trade practices, 9 V.S.A. § 2453(a). Representations by a debt adjuster company that it could achieve a particular result (for example, a claim that the debt adjuster could lower outstanding debt by a certain percentage) have been found to be in violation of the Vermont Consumer Fraud Act when the representations cannot be supported by prior reasonable substantiation as to the typicality of the results.